For students admitted to the Faculty of Liberal Arts & Professional Studies as of Fall 2014, 21 credits of General Education chosen from Humanities, Natural Science and Social Science. All General Education courses are offered at the 1000 level. 6.00 credits from Natural Science (NATS) ; 9.00 credits from Social Science (SOSC) or Humanities (HUMA) ; and 6.00 credits in the opposing category to the 9.00 credits course in Social Science or Humanities already taken. For students admitted to the Faculty of Liberal Arts & Professional Studies as of Fall 2009, 24 credits of General Education chosen from Humanities, Modes of Reasoning, Natural Science and Social Science. General Education courses are offered at the 1000 and 2000 level. A minimum of 6.0 credits must be chosen from each of Humanities, Natural Science and Social Science. A maximum of 9 credits in each of the four areas (Humanities, Modes of Reasoning, Natural Science and Social Science) will count towards fulfillment of General Education requirements. 24 credits of General Education chosen from Humanities, Natural Science and Social Science. Foundation courses are 1000 and 2000 level 9 credit courses offered by the Department of Humanities and the Department of Social Science. Students may complete a maximum of three 9 credit Foundations course for degree requirement. Students who take a 1000 level HUMA Foundation course must take a 2000 level SOSC Foundation course; and students who take a 1000 level SOSC Foundation course must take a 2000 level HUMA Foundation course. Elective Credits and Credits Outside the Major, must be courses outside of the major subject so the credits cannot be Anthropology courses. Free Choice Credits may be Anthropology courses. Elective Credits, Credits Outside the Major and Free Choice Credits requirements may be satisfied by completing either a six-credit (6.0) or two three-credit (3.0) courses (for a total of six credits). If two three-credits courses are used to satisfy a six credit Elective Credits, Credits Outside the Major or Free Choice Credits requirement, then the two three -credit courses may be in different subjects and in different levels. If a Free Choice Credit requirement must be taken at a specific level, then two three-credit courses at that specific level can be combined to satisfy the requirement. For additional information about General Education courses and to search courses, please visit the website. A full course load is defined as 30 credits during the Fall/Winter session. Students may take a maximum of 36 credits overall (and 18 credits per term) without petitioning. A full course load is defined as 15 credits in the Summer session. Students may take a maximum of 18 credits overall without petitioning. 12 additional credits at the 4000-level in Anthropology. 6 additional credits at the 3000 or 4000-level in Anthropology. 6 additional credits at the 4000-level in Anthropology. Students are also required to take 18 credits of language study in a modern language offered by York University, including the Advanced I university-level course in the chosen language to fulfill the Language Requirements part of this degree. Students in the Honours iBA program will be required to complete 12 credits of internationally-oriented courses chosen outside the major that focus on a country or region that is compatible with the student’s chosen language stream and/or on an international issue that is of interest to the student. Assuming that students in the Honours iBA program are spending all or part of their third year of study abroad, the department has noted that they will likely be required to take the core 3000 and 4000-level courses simultaneously in their fourth year of study. The Undergraduate Program Direction will act as internal advisor to students in the Honours iBA programs. The Honours iBA program in Anthropology described above may be pursued jointly with any Honours Minor BA program for the Honours Major/Minor International iBA program. (General Education 24 credits; Anthropology Major 42 credits; Minor 30 credits; Language Requirements 18 credits; Free Choice Credits 6 credits; total 120 credits). While on exchange, the student must carry a full-time course load. The exchange will normally take place during the student's third year. The admission requirements for the Honours iBA in Anthropology will be the same as the admission requirements for the Honours BA in Anthropology. Students who wish to transfer from the Honours BA program to the Honours iBA program following completion of Year 1, or subsequently, may do so, provided that they are in good academic standing and eligible to proceed in the Honours program; and provided that they are able to satisfy the iBA language requirement prior to completion of the program. Students considering transferring to the iBA beyond the end of Year 1 should discuss their options with the Anthropology Undergraduate Program Director and Office of the Associate Vice-President International. The academic policies and regulations concerning grade requirements, rate of progress, academic standing in the program, and all appeal procedures for the Honours iBA program in Anthropology will be the same as for the Honours BA program. The Honours BA program described above may be pursued jointly with any other Honours Bachelor's degree program in the Faculties of Liberal Arts & Professional Studies, Environmental Studies, Fine Arts, or with approved major degree programs in the Faculty of Health, or Faculty of Science and Engineering. Anthropology may be linked with any Honours (Double Major) Interdisciplinary BA program in the Faculty of Liberal Arts & Professional Studies. Students must take at least 36 credits in Anthropology, and at least 36 credits in the Interdisciplinary programme. Courses taken to meet Anthropology requirements cannot also be used to meet the requirements of the Interdisciplinary programme. Students in these Interdisciplinary programmes must take a total of at least 18 credits at the 4000-level, including at least 12 credits in Anthropology and 6 credits in the Interdisciplinary programme For further details of requirements, see the listings for specific Honours (Double Major) Interdisciplinary BA programmes. 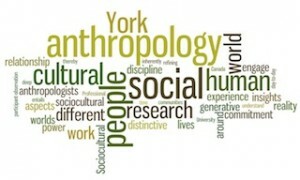 INTERDISCIPLINARY LINKED PROGRAMS WITH ANTHROPOLOGY: African Studies, European Studies, Latin American and Caribbean Studies, Social and Political Thought, South Asian Studies. Students enrolled in Law and Society before September 2005 may continue in the Honours Double Major Interdisciplinary BA Program (36 credits for Major 2). As of Fall/Winter 2005-2006, Law and Society no longer is considered part of the Interdisciplinary Program but is an Honours Double Major Program (42 credits for Major 2). Students enrolled in Communication Studies before September 2004 may continue in the Honours Double Major Interdisciplinary BA Program (36 credits for Major 2). As of Fall/Winter 2004-2005, Communication Studies no longer is considered part of the Interdisciplinary Program but is an Honours Double Major Program (42 credits for Major 2). The Honours BA program in Anthropology described above may be pursued jointly with any Honours Minor Bachelor's degree program in the Faculties of Liberal Arts & Professional Studies, Environmental Studies, Fine Arts, or with approved minor degree programs in the Faculty of Health, or Faculty of Science and Engineering. 6 credits at the 4000-level in Anthropology.